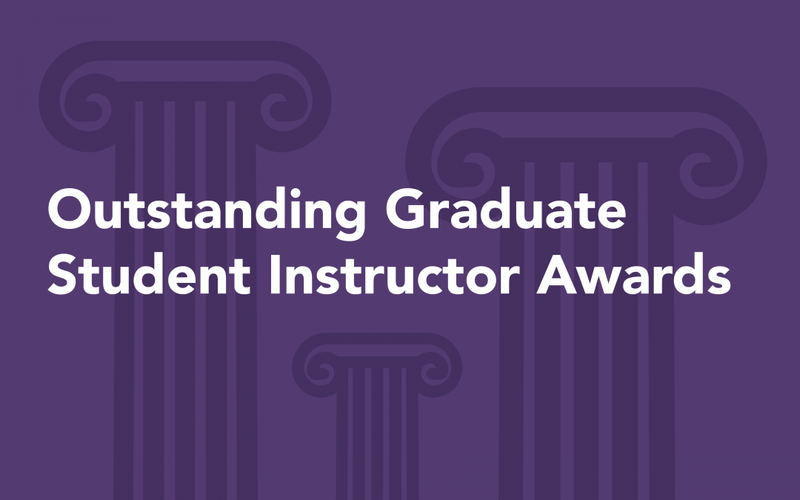 Through the Outstanding Graduate Student Instructor Awards, Rackham recognizes scholars who have been nominated by their program for teaching excellence. Winners of this award demonstrate superb skill in teaching, mentoring, and advising. They bring creativity, inspirational commitment, and intellectual excitement to the classroom, discussion section, or teaching lab, and communicate this passion with their undergraduate students. The awards ceremony that will honor these talented teachers, as well as the recipients of the faculty mentoring awards given by Rackham, will be held on Monday, April 22, at 3:30 p.m. in the Rackham Amphitheatre with a public reception to follow.